Choosing a hosting solution is difficult at the best of times and confusing and aggravating at the worst. There are many types of services, different pricing schemes, lots of decisions to make, lots of factors involved. To make things worse there are some issues which you may not even know about! In this article I’ll try and introduce you to some of the more subtle points of choosing a host to make sure you aren’t ripped off. Whether you’re looking a host for WordPress blog or website, these 8 points will help you avoid problems later on. This should go before anything else. Respectible sites also have pitfals and even though they have some nastly tricks up their sleeves their goal isn’t really to rip you off outright. They may play some trickery with renewal fees or service structures but at the end of the day they do actually want to give you good service. Unknown companies, especially local small businesses may be looking for a quick buck and will play nice pre-sales and forget about you once they have your money. This isn’t always like that, but it’s something to be aware of. Luckily, we’ve done all the research for you. Just go ahead and check this web hosting reviews page. We’ve sorted most hosting providers by speed, uptime & customer support. Figuring out wether a local host is worth your time is a bit more difficult. Try and find some clients and ask them how they feel about the service. It always pays to find smaller clients. Hosts always pay special attention to their large clients so of course they’ll experience good service. 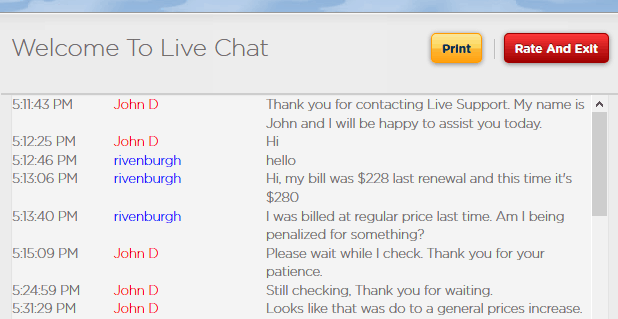 If all else fails, test their service for a month and see what’s what for yourself. General prices have increased. Really? Sometimes the pricing can be non-intuitive to say the least. Some companies give you a price reduction that seems to be the final price. They take care to use small type to indicate that this price is only valid until your renewal date. If you pay in advance for one month you only get the reduction for one month. If you pay for 3 years it is valid for 3 years. After the renewal date you are billed the full price. Saying that you have unlimited of anything is a misnomer at the very least. First of all, you can’t have unlimited bandwidth or storage since this means the company would allow you – and be capable of – storing a hundred trillion teraflops and transmitting all that to Mars. And that’s still not unlimited. What hosts really mean here is that they provide you with as much bandwidth and storage that your hardware is capable of handling. The term is unmetered, which simply means they won’t be measuring your usage or limiting it artificially. This doesn’t mean you can transmit all the data you want across the net. If you have a dedicated server with a 10Mbps port you can transmit 10 Megabytes per second. That seems like a lot, but it’s still limited. It translates to roughly 24TB a month. If your business is sharing high quality 4k video you may run out soon enough. You may also run into significant bottlenecks if you get traffic surges which would use up more than 10 Megabytes per second. This is a universal truth, there is no way around it. If you have a dedicated server you’ll need to expand which will cost you money. If your are on a cloud plan you likely pay by the GB or TB so while you do have an unlimited plan in the loose sense of the work, you will pay for it appropriately. $15 for a “set up”? What do they actually set up? More importantly, beware of inappropriate setup fees. If you are getting a dedicated server it is understandable if there is an associated setup cost. Someone may actually have physically go in and add hardware components you’ve ordered, if you’re using a managed service they will have to set up software and perform various other tasks. If you use any other type of service a setup fee is not really justifyable, unless you are asking the company to migrate your site. This is something a lot of hosts are guilt of. It is super convenient to grab a domain name through your host since everything is automated. You type in a domain name, pay some money and boom, you have a domain. However, the domain name is legally owned by the host, not you, at least in all the cases I’ve seen. This lends itself to all sorts of issues. Imagine you have a company that is performing well with a great ecommerce store and you don’t technically own the website. In practice this doesn’t cause as many problems as you’d think. As far as I know hosts mostly do it because it’s easier for both parties and it also makes it easier for them to close accounts that are breaking the law by stealing content or serving illegal content. That said, I believe the safest and most professional option is to use a registrar and register the domain yourself, in your own name. It’s a simple matter to point domains to a host and this way you own everything about your company and website! I don’t habitually ask for my money back but choosing a host can be pretty difficult and the ability to test one of them for a couple of days and then say no thank you is a great help. I’ve talked with a reputable host’s owner who assured me that they have a money back guarantee while according to their own terms of services, they don’t. I don’t doubt they have good intentions and act in good faith, but contradicting evidence is not something I like to see when talking about a $350+ plan. 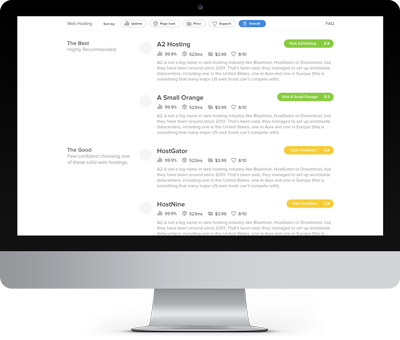 Some hosts may give you a month or a couple of days free if you ask nicely, talk to customer support, they’ll be able to point you in the right direction. If I were you, though, I’d choose a web host that has a minimum of 30 days money back guaranteed. 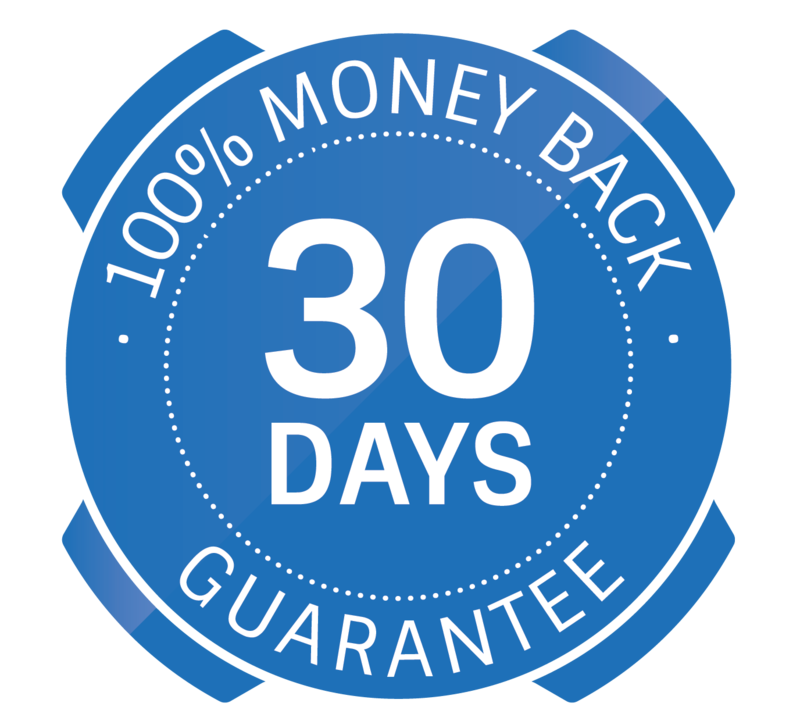 See list of best hosting providers here who offer 30+ days money back. This is an issue I’ve seen when looking for managed WordPress hosting. This type of hosting will likely only let you install WordPress sites but the whole premise is that everything from the hardware to the server cache is optimized to WordPress. Some hosts offer dedicated WordPress/Joomla hosting but what this really is is just the repackaging of their shared services with “website” replaced by “WordPress” or “Joomla” appropriately. A dead giveaway is price (avoid cheap hosting providers). The cheapest proper managed WordPress hosting starts around $28 – $30. These may still be shared environments, but they are tuned to WP. Some hosts boast some level of DDOS protection. While this in itself may be true I don’t think a host will be able to protect you, especially if you have a $29 – $300 level account. There is only one way to protect against a DDOS attack: a huge network, and I mean huge! It takes considerable resources to pull it off and it’s just not worth it to protect a $29/month site. If you think DDOS is a serious threat to you you should invest in something Cloudfare which has a higher chance of protecting you. There are three things to do when you choose a host: make sure to go with a reputable one, use common sense and do your research. The first one will go a long way to ensuring a stable site. Common sense it useful when faced with terms like unlimited resources or nonsense terms that just serve to blind you into choosing a host. Research is useful for identifying your own needs and figuring out what services do. Knowledge is always your best defense against being ripped off! This is a really useful article on choosing a good host – I liked the advice on the fact that many hosting companies repackage shared hosting as WordPress hosting and price is the most important indicator of whether the WordPress hosting is truly managed and optimized or not. My favorite point from this post is point 5 as There is no word called ‘unlimited’ in web hosting services. Nowadays many hosting companies try to promote their services by using the word ‘unlimited’. Fantastic article guys, wow is all I can say, thank you! A very good article for precautions to be taken while choosing a web host. Very helpful. However, here I would like to suggest a reputable host which is 100% reliable. Amul and many other brands fall under their portfolio. You can find a number of offers to cater to your needs of getting TLD(Top level domain) name.